Keating Law Offices is proud to co-host Bike Lane Uprising’s Day of Service. 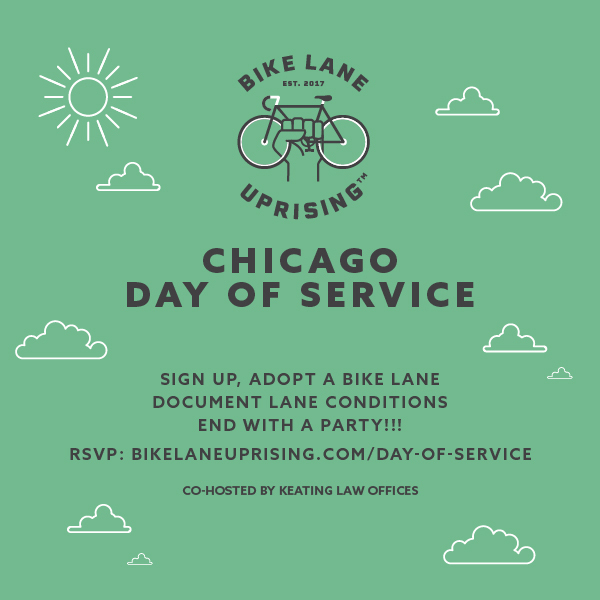 The Day of Service is an effort to document the conditions of bike lanes throughout the city and report the conditions to the City of Chicago. This effort will provide the City of Chicago legal notice as to any dangerous defects or conditions. The effect of the day of service will help the City of Chicago prioritize its efforts in maintaining bike lanes and lead to fewer dangerous conditions in Chicago's bike lanes. 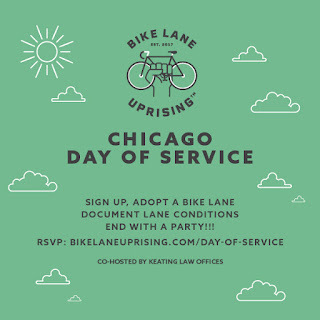 The date for the Bike Lane Uprising Day of Service is May 19, 2019. While the mission is service, the Day of Service will be a fun day. We will meet at Keating Law Offices’ West Town Office for donuts and coffee. We will then head out for a few hours to inspect and document bike lanes. We will then re-group for drinks and eats at a post-event party. Please help spread the word. You can find more information by visiting Bike Lane Uprising’s website here. And please help promote the Day of Service by using #BLUDayofService on social media. Keating Law Offices is the premiere personal injury law firm representing victims of bicycle accidents in Illinois. The firm has two locations in Chicago. The Loop office is located on the Washington Street bike lane at 111 West Washington Street. And the West Town office is located right on the Milwaukee Avenue bike lane at 825 North Milwaukee Avenue. 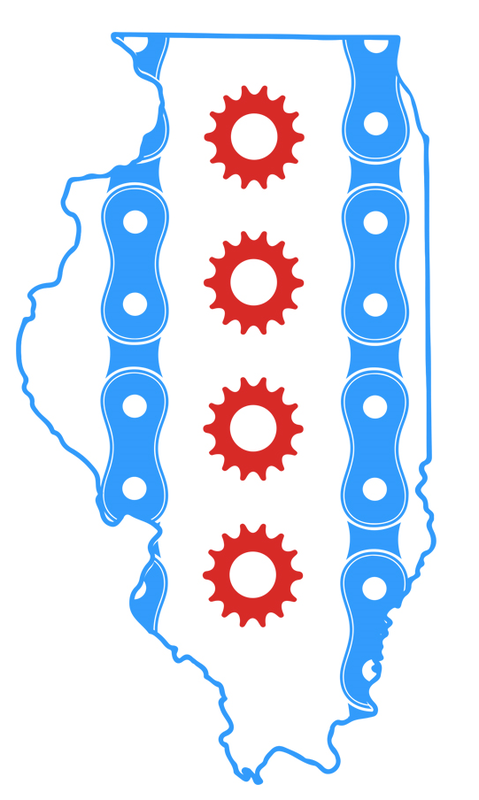 The firm is committed to Chicago’s cycling community and advocating for safe cycling. IN THE NEWS: Keating Law Offices attorney Mike Keating was quoted in the Chicago Tribune about the dangers of distracted driving. Distracted driving is an increasingly dangerous habit among many drivers. The dangers posted by distracted driving are particularly dangerous to vulnerable users of the roadway such as pedestrians and bicyclists. "Mike Keating, a personal injury attorney who often represents injured bicyclists, said that if any police agency does not enforce the laws against distracted driving, it defeats the purpose." The Chicago Tribune article was written by long-time transportation reporter Mary Wisniewski. Keating Law Offices is the premiere personal injury law firm representing victims of bicycle crashes in Illinois. The firm is based in Chicago, Illinois and represents clients throughout Illinois. Labels: Chicago bicycle attorney, Chicago Tribune. The Chicago Department of Transportation is pushing the City of Chicago to implement changes that will allow for more e-bikes and e-scooters on the city's streets and in our bike lanes. This is no doubt in large part due to the City of Chicago agreeing with Lyft for the ride share giant to take over the city's successful Divvy bike share program. 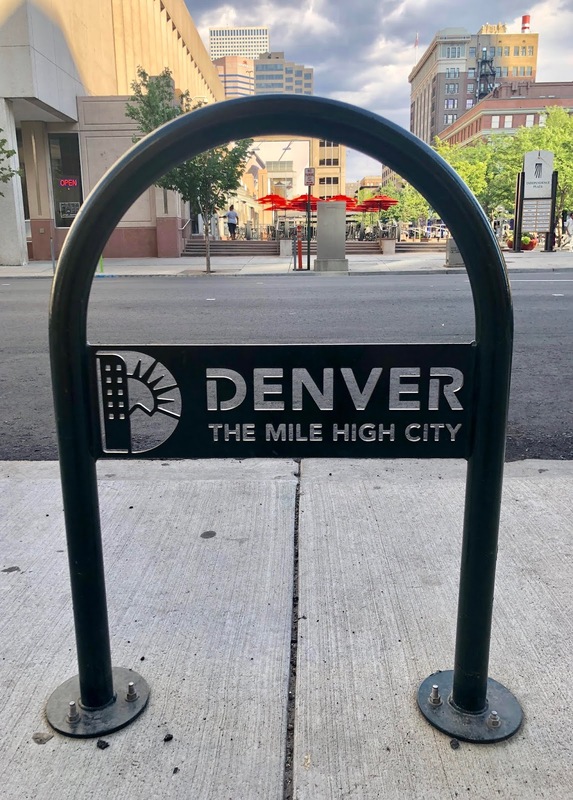 At the March 2019 Mayor's Bicycle Advisory Council meeting, CDOT officials and Lyft representatives discussed how Lyft will incorporate e-bikes into the Divvy fleet. Lyft has also played a role in pushing e-scooters onto Chicago's streets. Theses proposed CDOT changes will also allow for privately owned e-bikes and e-scooters to take the streets - and to Chicago's bike lanes. The changes to the City of Chicago ordinance regarding "low speed electric bicycles" creates different classes of e-bikes. There will be three different classes based on whether the rider assists by pedaling and the overall speed of the bicycle. "Class 1 low-speed electric bicycle" means a low-speed electric bicycle that weighs less than 125 pounds and is equipped with a motor that provides assistance only when the rider is pedaling and that ceases to provide assistance when the bicycle reaches a speed of 20 miles per hour. "Class 2 low-speed electric bicycle" means a low-speed electric bicycle equipped with a motor that can be used as the sole means to propel the bicycle and that is not capable of providing assistance when the bicycle reaches a speed of 20 miles per hour. "Class 3 low-speed electric bicycle" means a low-speed electric bicycle equipped with a motor that provides assistance only when the rider is pedaling and that ceases to provide assistance when the bicycle reaches a speed of 28 miles per hour, or is a Class 1 low-speed electric bicycle that weighs 125 pounds or more. A "low speed electric bicycle" is not a moped or a motor-driven cycle." We are of the opinion that low-speed electric bicycles can be an asset to Chicago's bicyclists. They are particularly beneficial to those riders whose ability levels and functional levels might otherwise be limited by a pedal only bicycle. These e-bikes, if properly regulated, should integrate into Chicago bicycle system and provide greater access to everyone. E-scooters are an entirely different device and an entirely different story. Keating Law Offices opposes CDOT's efforts to push e-scooters as an alternative to the already existing and successful bike share system. The CDOT proposal lays the groundwork for the entry of electric scooters, commonly called "e-scooters," into Chicago bike lanes. 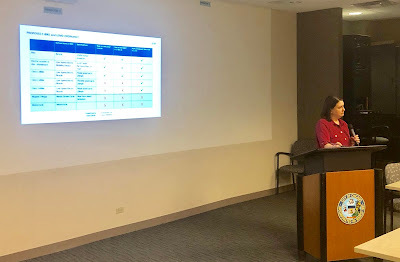 At the March 2019 Mayor's Bicycle Advisory Committee meeting, CDOT representatives stressed that initially e-scooters will only be those that are privately owned. But this is just a Trojan Horse plan where ultimately Lyft will be allowed to flood Chicago's streets with rentable e-scooters. "Low-speed electric mobility device" means a device which: (i) has no operable pedals (ii) is no more than 26 inches wide: (iii) weighs less than 100 pounds: and (iv) is powered by an electric motor that is capable of propelling the device with or without human propulsion at a maximum speed of 15 miles per hour on a paved level surface." These e-scooters will allow anyone to ride one of these devices in Chicago's bike lanes and for kids to ride them on the city's sidewalks. But these e-scooters are not toys. The manufacturer of most e-scooters, Xiamo, states that their e-scooters can go up to 15-miles per hour. This is five times (500%) of the average person's walking speed. The riders’ heads were the most often injured body part with 40.2% reporting a head injury. This was consistent with only 4.4% of the riders documented as wearing a helmet. Fractures accounted for nearly a third of the injuries with 31.7% of riders suffering a break. Other injuries such as contusions, sprains and lacerations independent of a fracture or head injury accounted for 27.7% of the documented injuries. Keating Law Offices attorney Mike Keating was invited by the American Association for Justice to speak to trial lawyers from throughout the country at the 2019 AAJ Winter Convention in Miami. Mike's lecture was a part of Continuing Legal Education to update and inform other trial lawyers about emerging risks to our clients. Mike's subject was Bike Share and the emerging threats posed by E-Scooters. The speech was entitled "Looking Beyond Automobiles: Bicycles and Electric Scooters." "Chicago streets are already dangerous enough for bicyclists. We already face distracted drivers, potholes, and often inadequate infrastructure. Adding unlicensed, untrained and uninsured e-scooter riders to the City's streets is a recipe for disaster. The City of Chicago cannot and should not put profits over people and allow for rentable e-scooters. These devices will lead to cluttered sidewalks, clogged bikelanes, and a legitimate public health threat." Mike Keating's presentation was one month before the City of Chicago proposed these changes. Keating Law Offices works to remain on the forefront of legal issues related to bicycle and pedestrian safety. The firm will continue to monitor these changes and advocate for safe streets for bicyclists and pedestrians over Lyft's business interests. Keating Law Offices attorney Mike Keating was invited by the American Association for Justice to speak to the attendees of the 2019 AAJ Winter Convention in Miami. Mike's subject was Bike Share and the emerging threats posed by E-Scooters. The speech was entitled "Looking Beyond Automobiles: Bicycles and Electric Scooters." Chicago's Divvy program is one of the nation's largest bike share systems. Mike's presentation was a part of a program of Continuing Legal Education where other trial lawyers from throughout the country learn about different areas of the law. This was a part of the convention's lecture series, "Specialized Track: Keep Your Eyes on the Road: The Latest Strategies in Litigation." Mike Keating is considered one of the nation's leading authorities on litigation and insurance claims related to bicycle crashes. This is the second time Mike has been asked to present on bicycle law to the American Association for Justice. The last time was in 2016 at AAJ's Annual Convention. In addition, last year his article "Bike Share Roadblocks" was published in Trial Magazine. Mike Keating has served as the Chair of the American Association for Justice's Bicycle Litigation Committee for the past five years. In addition to his work with AAJ, Mike is also a member of the Illinois Trial Lawyer Association's Board of Managers and one of its Legislative Chairs who works with legislators on legal issues. Illinois Department of Transportation data shows dooring crashes on the rise across the state. In 2015 alone there were more than 300 doorings reported. This number, which only represents those doorings that made it onto a police report, nonetheless represented a 50% increase from 2014. As part of an effort to fight the plague of doorings, the Illinois Secretary of State will now be required to include the "Dutch Reach" as a part of the Rules of the Road for Illinois motorists. The "Dutch Reach" is where a motorist opens the car door across their body with their right hand. This movement forces the the driver to turn their body and check over their left shoulder towards oncoming traffic. 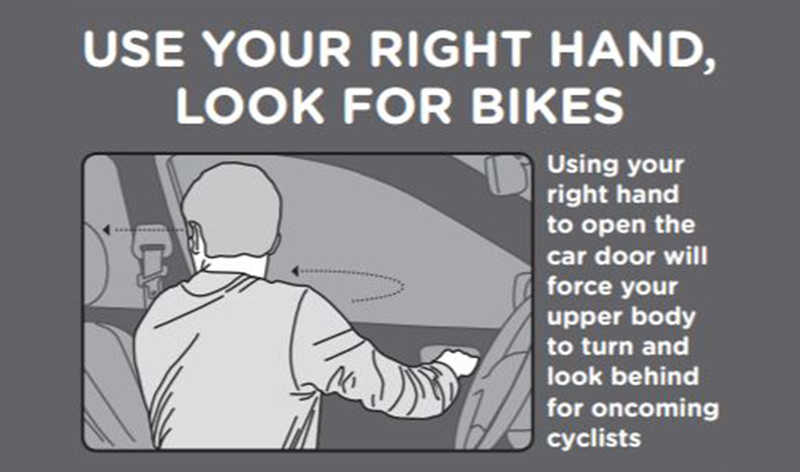 The goal of the "Dutch Reach" is to teach motorists to always check for bicyclists prior to opening their vehicle door into traffic and to prevent doorings. Keating Law Offices attorney Mike Keating was recently profiled in a CBS 2 Chicago story on the Dutch Reach. "No person shall open the door of a vehicle on the side available to moving traffic unless and until it is reasonably safe to do so, and can be done without interfering with the movement of other traffic, nor shall any person leave a door open on the side of a vehicle available to moving traffic for a period of time longer than necessary to load or unload passengers." As clarified in the 2017 Illinois bike law known as "Dennis' Law," a bicycle is a vehicle under Illinois law and any reference to a "vehicle" or "traffic" includes a bicyclist. The trend of dooring has gotten worse. According to the available data from the Illinois Department of Transportation, doorings area plague to Chicago cyclists in particular. In 2015 there were 302 cases of doorings. There were 203 in 2014, 270 in 2013, 334 reported in 2012 and 336 in 2011, the first full year IDOT collected data on the number of doorings. Teaching the "Dutch Reach" is an important step in making watching for bicycles at all times a common practice for all motorists. Just as every motorist is taught to "check their blind spot" when changing lanes, every motorist will be taught to look for bikes when exiting their vehicle. Each time, every time. And with that, we hope to see the number of doorings in Illinois decrease. Bicyclists are often referred to as "vulnerable users" of the roadways. Even the most experienced bicyclist on the most advanced bicycle is at a disadvantage if there is a crash with even the smallest motor vehicle driven by a non-attentive motorist. Sheer physics are blind and unfortunately do not take into account fairness when a collision occurs and what might be a fender bender on a car can lead to serious or even fatal injuries to the bicyclist. Bicyclists are even more vulnerable in Illinois due to the state's sheer number of citizens and its densely populated urban centers including the metropolis of Chicago. A new 2019 law is designed to combat distracted driving and help reduce crashes and protect bicyclists. The original law in Illinois to fight distracted driving was tragically borne by the death of a downstate bicyclist who was struck and killed by a driver downloading a ringtone on her cellphone. According to the current law in Illinois, distracted driving only get a warning and zero fine the first time they are caught using their phone behind the wheel. Starting on July 1, 2019, Illinois drivers that pay more attention to their phones will face stiffer penalties for distracted driving. Any driver caught using a phone while driving (other than talking on the phone with a hands-free connection) will face a fine of $75 for a first offense, $100 for a second ticket, $125 for a third ticket and $150 for a fourth or subsequent ticket for distracted driving. The proportion of drivers who report talking on a cell phone regularly or fairly often when behind the wheel increased 46% in the last five years. Nearly half (49%) of drivers report recently talking on a hand-held phone while driving. Nearly 35% of drivers have sent a text or email while driving. Approximately 58% of drivers say talking on a cellphone behind the wheel is a very serious threat to their personal safety, while 78 percent believe that texting is a significant danger. Keating Law Offices' trial attorney Mike Keating has been a tireless advocate for cyclists' rights in Illinois. Mike is the author of "Dennis' Law" and worked with the Jurs family and legislators to pass the landmark law that solidified bicyclist's rights in Illinois. Mike also serves as a Chair of the Legislative Committee for the Illinois Trial Lawyers Association where he is a also a member of the Board of Governors. Nationally he is the Chair of the Bicycle Litigation Committee for the American Association for Justice, the nation's largest trial attorney organization fighting for the rights of the injured. 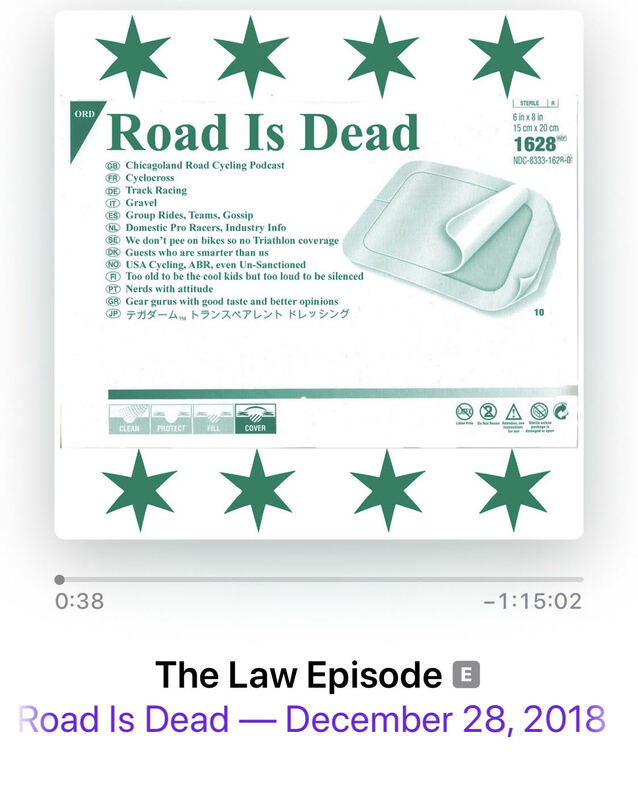 Keating Law Offices attorney Mike Keating recently appeared on the "Road is Dead" podcast to discuss legal issues surrounding bicycling. The "Road is Dead" podcast is hosted by Rob Curtis and Anthony Mikos of the Psimet Custom Wheels company and is recorded at their bike and coffee shop in Dundee, Illinois right on the banks of the Fox River. 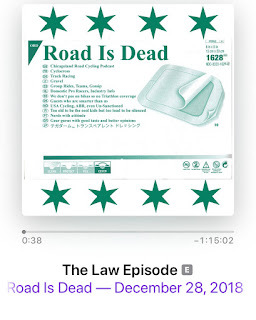 "The Law Episode" included fellow bicycle law attorneys Jessica Cutler from Washington state as well as Arley Kemmerer and Joe Piscitello of Piscitello Law in Philadelphia. Topics included what to do when you've been involved in a bike crash, the number of bicycle crashes and actions bicyclists can take to protect themselves when riding. Attorney Mike Keating of Keating Law Offices is frequently interviewed regarding legal issues surrounding bicycling. Earlier this year he participated in a CBS News Chicago story on the dangers of being doored in Chicago and the new efforts in Illinois to promote the use of the "Dutch Reach" by motorists. Mike has also appeared live on WGN News and was the focus of a 2016 CBS New Chicago story about the dangers facing cyclists. In addition, Mike Keating has written extensively on legal issues facing cyclists. His 2018 article on the risks posed to bicyclists injured using bike share bicycles entitled "Bike Share Roadblocks" was published in Trial Magazine which is a national magazine for trial lawyers. Mike's article "Bicycling In An Automobile's World" about the disparity between bicycle and motor vehicle infrastructure was also in Trial Magazine in 2016. 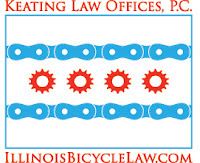 The Illinois Trial Lawyers Association's Trial Journal published his article entitled "The Wheels of Change Keep Turning: Why The Popularity of Bicycling in Illinois Has Rendered Illinois Law Irrelevant" about why Illinois needs to take greater efforts to protect the growing number of bicyclists in the state. Mike Keating is nationally recognized as a leader in bicycle law litigation. He is the long standing Chair of the Bicycle Litigation Committee for the American Association for Justice and serves on the Board of Managers for the Illinois Trial Lawyers Association. The World Day of Remembrance for Road Traffic Victims was held today at Federal Plaza in Chicago. The World Day of Remembrance is held every year to remember the millions injured and killed every year on the roadways. 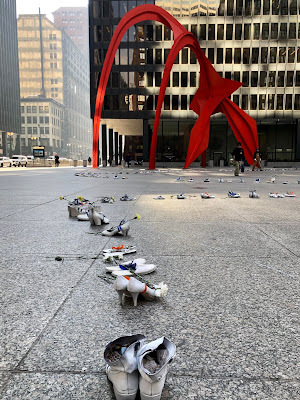 The World Day of Remembrance is a joint effort between Vision Zero Chicago, Chicago Department of Transportation, Illinois Department of Transportation, AARP, the Active Transportation Alliance, Ride of Silence Chicago and Ghost Bikes Chicago. 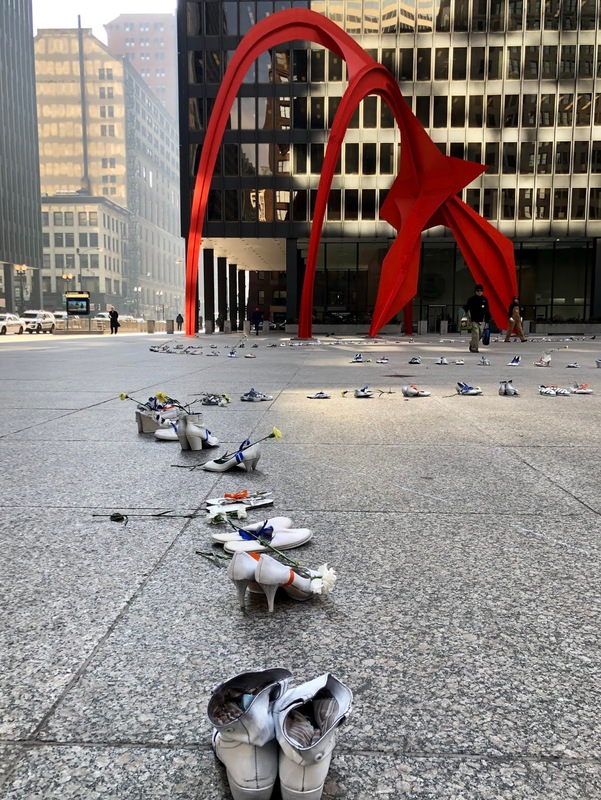 This powerful display at the World Day of Remembrance consists of 132 pairs of empty shoes to represent the 132 victims of fatal traffic crashes in Chicago over the past year. Injuries and deaths from traffic violence are a threat to public health and safety. Every day in Chicago there are five serious injuries from traffic crashes and a person loses their life every three days. Tragically, Chicago's bicyclists are especially vulnerable to traffic crashes. Keating Law Offices is honored to have sponsored this event and to work as a voice for Chicago's bicyclists. 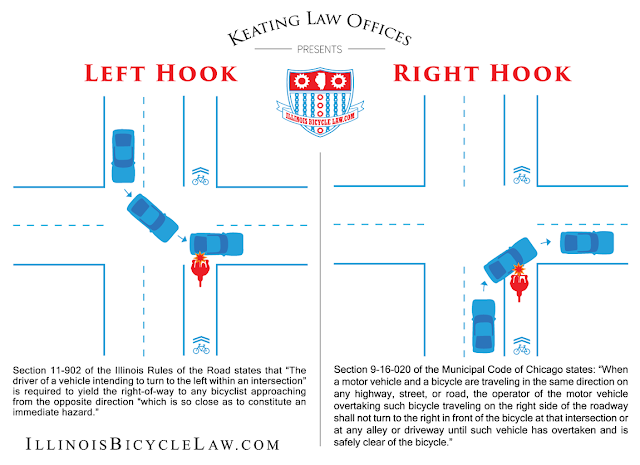 Keating Law Offices is a law firm in Chicago, Illinois that represents victims of bicycle crashes throughout Illinois. The firm has offices in the Loop and on Milwaukee Avenue in Chicago's West Town neighborhood. The firm represents bicyclists injured in crashes as well as families of victims. Attorney Michael S. Keating of Keating Law Offices has filed a lawsuit on behalf of a Chicago bicyclist who was tragically killed in a hit-and-run crash on September 23, 2018. The lawsuit was filed on behalf of the Estate of Jesse Rodriguez, the Chicago bicyclist who was riding near the intersection of Devon Avenue and the North Shore Channel trail when a juvenile driver turning from McCormick Boulevard to Devon Avenue jumped the curb and struck the bicyclist. The motorist then ironically struck a "Yield To Bikes" sign before fleeing the scene. The North Shore Channel trail runs alongside McCormick Boulevard. Devon Avenue is frequently used by bicyclists connecting from the North Shore Channel trail on the west side of the channel to the east side. The trail on the east side of the river then connects to trails alongside the Chicago River. Failed to stop and remain at the scene contrary to and in violation of Section 11-401(a) of the Illinois Vehicle Code. Attorney Michael S. Keating said the following about this occurrence, "This is yet another tragic example of the life of a Chicago bicyclist lost in a crash that was entirely preventable. The bicyclist here could not have been more experienced and in a place where he could expect to be protected from motor vehicle traffic. This crash should simply have never occurred and the age of the motorist is no excuse." The Illinois Secretary of State will now be required to include the "Dutch Reach" as a part of the Rules of the Road for Illinois motorists. The "Dutch Reach" is where a motorist opens the car door with their right hand. This action naturally requires the driver to look over their left shoulder and towards oncoming traffic. 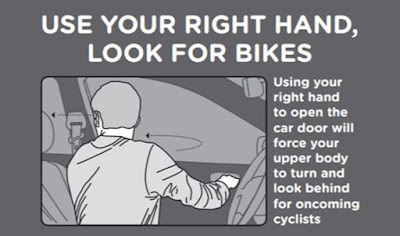 The goal of the "Dutch Reach" is to teach motorists to always check for oncoming cyclists prior to opening their vehicle door into traffic and to prevent doorings. As clarified in the 2017 Illinois bike law known as "Dennis' Law," a bicycle is a vehicle under Illinois law. According to data from the Illinois Department of Transportation, doorings area plague to Chicago cyclists in particular. In 2015 there were 302 cases of doorings. There were 203 in 2014, 270 in 2013, 334 reported in 2012 and 336 in 2011, the first full year IDOT collected data on the number of doorings. It is important to note that from a legal perspective this legal change does not require motorists to utilize the "Dutch Reach." The law essentially requires Illinois drivers to be taught the "Dutch Reach." In other words, Illinois drivers are advised to utilize the "Dutch Reach" in the Illinois Rules of the Road Publication, but are not required to do so by law under the Illinois Vehicle Code. This new Illinois bike law is nonetheless a giant victory for Ride Illinois and the Active Transportation Alliance who valiantly fought for the promotion of the "Dutch Reach" as a simple safety practice that can reduce the number of doorings in Illinois. The promotion of the utilization of the "Dutch Reach" will help the practice become more commonplace in Illinois and is a further reflection of the commitment by Illinois lawmakers to make cycling safer. The inclusion of the "Dutch Reach" in the Rules of the Road will also help establish safety practices for checking for oncoming bicyclists as "ordinary practice" for Illinois motorists. 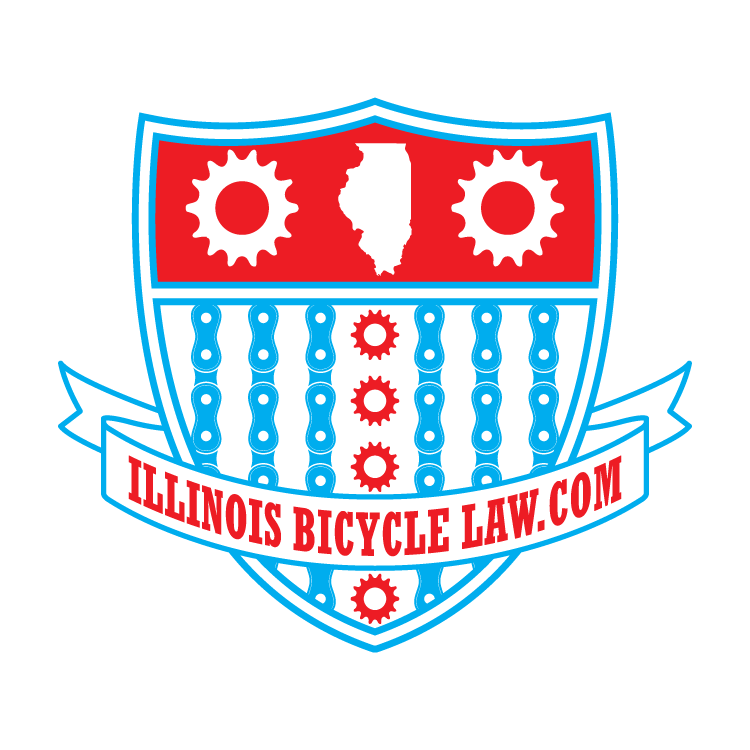 When a bicyclist is doored in Illinois and is injured, we need to establish that the driver was negligent. Establishing negligence is done by showing that they did not follow "ordinary care." While not quite the full effect of a rule under the Rules of the Rode, this advisory position carries some weight in arguing that a driver is acting most safely when they check for an oncoming bicyclist. Keating Law Offices' founding attorney Mike Keating has an extensive background in Illinois legislation. He is a former Assistant Counsel to the Illinois House of Representatives where he worked on hundreds of pieces of legislation. Mike is the author of "Dennis' Law" and worked with the Jurs family and legislators to pass the law. Keating Law Offices also represented the Jurs family in the case. In addition, Mike serves as a Chair of the Legislative Committee for the Illinois Trial Lawyers Association where he is a also a member of the Board of Governors. News outlets are reporting that the bicyclist who lost her life in a crash in the West Loop was 39-year old Angela Park of Chicago. The crash occurred at the intersection of Halsted Street and Madison Street. Angela was riding northbound on Halsted where the Halsted Street bike lake has existed for decades. The truck involved in the crash was a dump truck owned and operated by Lakeshore Recycling. The truck was turning right from northbound Halsted onto eastbound Madison when the crash occurred. The exact circumstances of the crash are yet to be determined as there is a major construction project on the southeast corner of Madison and Halsted that has led to frequent changes in the traffic patterns at that intersection. The crash was what is known as a “right hook” crash where the truck turned right across the path of the bicyclist. Since the Halsted Street bike lane is to the right of the northbound lane, the truck would cross over the bike lane when turning from Halsted onto eastbound Madison Street. The crash occurred at 7:10 a.m. on a weekday when this area of the West Loop is full of commuters on their way into the Loop for the workday. The presence of a bicyclist on the Halsted Street bike lane is not only common it is constant at this time of the day. Chicago law requires the operators of motor vehicles to utilize “due care” in looking for bike traffic. Based on the reports, it appears that the operator of the truck also acted contrary to the Illinois Vehicle Code and also Federal requirements. These requirements provide that 1) the driver of a cement truck like this should "keep a proper lookout" for bicycles but 2) to not turn right until it is safe to do so. It is axiomatic that if a vehicle is "clear" to turn, that a bicycle crash cannot occur. 49 C.F.R. Section 383.111 of the Code of Federal Regulations requires a professional driver to recognize and avoid potential hazards at all times around a turning tractor truck. Section 11-1003.1 of the Illinois Motor Vehicle Code states that every driver of a vehicle must 1) always exercise care to avoid colliding with pedestrians and bicyclists, and 2) sound their horn to provide warning of an impending impact. Legal analysis aside it is important to remember that Angela Park was a member of Chicago’s bicycling community. This is another unfortunate reminder of the need for not only laws and policies that protect bicyclists, but strict enforcement of those laws. This is beyond sad, it is tragic in the scope of the loss against reality that it could have been avoided. Our thoughts and prayers and most sincerely with the family of Angela Park. Chicago bicyclist Luster Jackson was killed in a scenario that is a constant fear of Chicago bicyclists. Luster was riding his bike northbound in the 7200 block of South Stony Island. According to the Sun-Times, as he was riding a driver opened their car door into Luster's path. The bicyclist swerved to avoid the car door and Luster was fatally struck by an approaching vehicle. According to the report, the driver of the vehicle that fatally struck Jackson was issued a traffic citation. However, given the scenario described in the article, there may have been traffic violations on the part of the driver opening their car door into Luster's path and on the part of the driver that fatally struck him. (d) The operator of a motor vehicle overtaking a bicycle or individual proceeding in the same direction on a highway shall leave a safe distance, but not less than 3 feet, when passing the bicycle or individual and shall maintain that distance until safely past the overtaken bicycle or individual. Key language in the statute is obviously that there must be a minimum 3 feet between the bicycle and the motor vehicle when the motorist passes the bicycle. But note that the statute also requires that this distance of 3 feet must be maintained until the motorist is "safely past" the overtaken bicyclist. Tragically, another Chicago bicyclist has lost their life. What is somewhat unique about this case is that it involves the actions of two other vehicles that created a "worst case scenario." Our thoughts and prayers are with the family and friends of Luster Jackson. May he rest in peace. The life and legacy of fallen Illinois cyclist Dennis Jurs was honored Sunday during the Dennis Jurs Memorial Race in Elgin. Dennis Jurs lost his life in May of 2015 in a collision with a motor vehicle while on a training ride. The Illinois law known as "Dennis's Law" is named after Dennis Jurs and came about after a Kane County judge dismissed a traffic citation against the motorist involved in the crash for failing to yield the right-of-way to an oncoming bicyclist. The judge incorrectly ruled that the right-of-way laws in the Illinois Vehicle Code did not apply to bicyclists. The judge cited non-traffic related cases that held that a bicycle was not a “vehicle” under certain legal definitions. The judge then dismissed the charges against the motorist involved in the fatal collision because of the uncertainty between the Illinois Vehicle Code and the case law. "Dennis's Law" makes it absolutely clear that Illinois bicyclists are to receive all the same rights in traffic situations involving the right-of-way as the drivers of motor vehicles. Previous to this change, there was a conflict as to whether a bicycle was considered a “vehicle” under Illinois law and was therefore entitled to the right-of-way between vehicles. Since the prior right-of-way laws in Illinois referenced “vehicles” there was an issue as to whether the right-of-way laws explicitly applied to bicyclists. 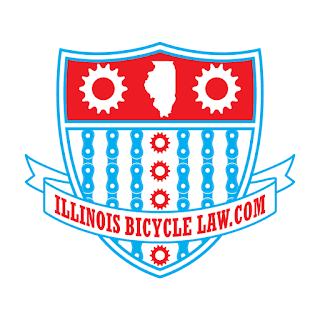 This change in Illinois bicycle law makes it absolutely clear that bicycles are “vehicles” as defined in the Illinois Vehicle Code and that motorists must provide the right-of-way to bicycles when the bicyclist is entitled to the right-of-way. "Dennis's Law" has been the law in Illinois since January 1, 2017. Keating Law Offices attorney Mike Keating was one of the attorneys who represented the family of Dennis Jurs in the civil case and lobbied on behalf of "Dennis's Law" by working with legislators and outside advocacy groups to push the legislation in Springfield. "Dennis's Law" passed both the Illinois House and the Illinois Senate with only one vote against it prior to being signed into law by the governor. Dennis Jurs was a longtims member of Team MACK and was an organizer of the Four Bridges road race. He was a Vietnam Veteran who took up cycling later in life to rehabilitate an injury he suffered after stepping on a land mine. 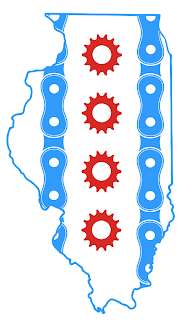 The 2018 Dennis Jurs Memorial Race was also the Illinois State Road Race Championship for the Illinois Cycling Association. 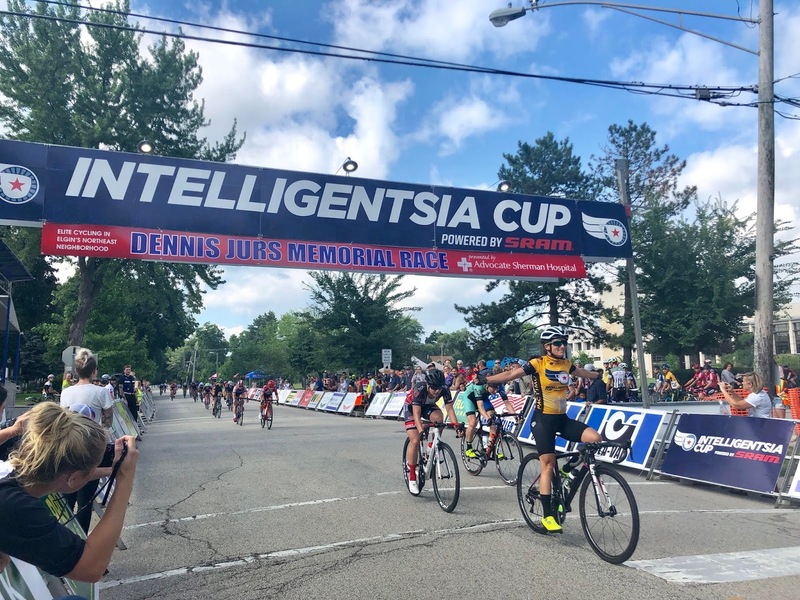 The race is also a part of the Intelligentsia Cup which brings elite-level road racing to communities throughout northern Illinois. Keating Law Offices is again sponsoring the Intelligentsia Cup powered by SRAM. The Intelligentsia Cup is produced by the same race team behind Tour of America's Dairyland (ToAD). The Intelligentsia Cup is a premiere road bike racing event every July in Chicagoland to complement the racing of ToAD every June in Wisconsin. 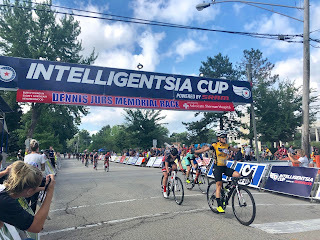 "The Illinois Bicycle Lawyers of Keating Law Offices are proud to sponsor the Intelligentsia Cup along with our friends at Intelligentsia Coffee and SRAM. Sponsorship is more than just investing in the races. 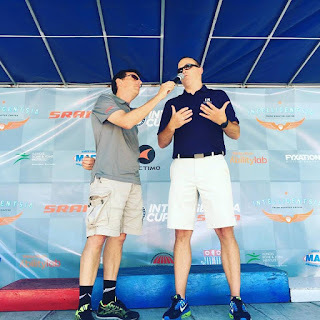 It is an opportunity to give back to the bicycling community in Illinois and showcase bicycling as not just a recreational activity but a pro-level sport. It is incredibly rewarding to see this series continue to grow. 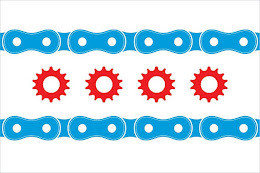 As advocates of Illinois bicyclists, we are committed to promoting bicycling in Illinois, whether it be advocating for safer streets, fighting for our clients who were injured in a bike accident, or even supporting pro-level bicycling in Illinois. We look forward to the 2018 Intelligentsia Cup." Keating Law Offices is the premiere personal injury law firm representing victims of bicycle accidents in Illinois. The firm is based in Chicago, Illinois and represents clients throughout Illinois. If you have any questions regarding this post or have a question regarding personal injury law, please contact Illinois Bicycle Attorney Mike Keating at 312-239-6787 (Office) or 312-208-7702 (Nights/Weekends). Our staff and operators are available around the clock. You can also email Mike@KeatingLegal.com 24 hours a day, 7 days a week. All e-mails and phone calls are returned promptly. All initial consultations are confidential and free. Every bicyclist in the City of Chicago knows the plague that is obstructed bike lanes. NBC 5 Investigates has produced a recent investigative report on all of the issues with obstructed bike lanes in Chicago. Stopping on a bike lanes is a minor convenience for the driver who uses the space of the bike lane to pull to the side of the road. But for the bicyclist this is massively dangerous as having to go around the stopped vehicle takes the bicyclist out of the marked bicycle lane and directly into the lane for motor vehicle traffic. The driver of a vehicle shall not drive, unless entering or exiting a legal parking space, or stand, or park the vehicle upon any on street path or lane designated by official signs or markings for the use of bicycles, or otherwise drive or place the vehicle in such a manner as to impede bicycle traffic on such path or lane. The driver of a vehicle shall not stand or park the vehicle upon any lane designated by pavement markings for the shared use of motor vehicles and bicycles, or place the vehicle in such a manner as to impede bicycle traffic on such lane. In addition to the fine provided in Section 9-4-025 of this Code, any vehicle parked in violation of this section shall be subject to an immediate tow and removal to a city vehicle pound or authorized garage. Passengers and driver cannot open car doors into traffic. Drivers can NEVER stop, stand, or park in a bike lane. Passengers cannot be dropped off in a bike lane. DOORING is opening a car door into the path of an oncoming cyclist. It is punishable by fines up to $1,000. Pull all the way over to the curb when picking up or dropping off a passenger. DO NOT BLOCK travel lane. Chicago needs its bicycle lanes to be free and clear so that they are most effective and safe. The number of bicycle riders across America soared in the past 10 to 15 years. From just 2000 to 2014, bicycle commuting grew 62 percent. The number of bicyclists exploded from 488,000 people in 2000 to 904,463 people in 2014. While the overall percentage of bike commuters remains relatively low – approximately 1.0% of all commuters –this drastic increase is the single largest percentage increase of any transportation mode. The increase in bicycle commuting is largely the result of many of the country’s most prominent cities investing heavily in non-motorized travel-based projects like bike lanes. For bicycling to continue to grow, these very bike lanes need to be useful and effective. And that means stepping up enforcement of parking in the bike lane. Community groups like Bike Lane Uprising have done excellent work in putting a spotlight on this serious issue. The attorneys at Keating Law Offices have fought for the rights of cyclists and advocated on behalf of bicycle infrastructure for over a decade. The law firm filed the very first lawsuit in Cook County over a driver striking a bicyclists on the Kinzie bike lane, which was one of the first protected bike lanes in the city. The attorneys have handled many cases involving issues with drivers riding on the bike lane or dooring bicyclists in the bike lane. The firm's West Town location is immediately on the Milwaukee Avenue bike lane where these issues are apparent on a daily basis. Keating Law Offices attorney Mike Keating presided over the annual meeting of the Bicycle Litigation Group for the American Association for Justice. The organization, commonly called “AAJ,” is the nation’s largest organization dedicated to protect the rights of accidents victims and fighting to protect the right to trial by jury. AAJ confronts corporate and political interests seeking to infringe upon the rights of American consumer and workers. 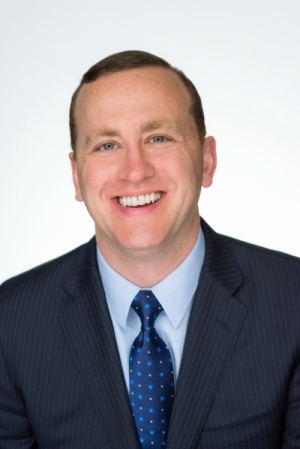 Mike Keating has been the Chair of the Bicycle Litigation Group since 2013. The group is comprised of attorneys throughout the nation who focus all or part of their practice on representing victims of bicycle crashes and their families. The group’s meetings regularly are focused on changes in bicycle laws and the members’ shared focus of advocating for their clients in claims against insurance companies and corporations. Meetings are held every February during the Winter Meeting and again every summer at the AAJ Annual Convention held each year in a different city throughout the country. 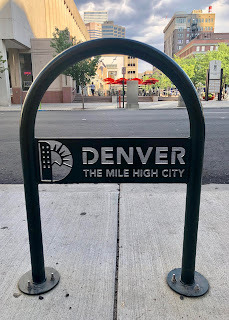 This year’s event was held in Denver, the “Mile High City.” Denver is a very bicycle friendly city which was evident by the number of protected bike lanes and excellent signage. Given its location to the Rocky Mountains, the area also boasts some of the best mountain biking in the world. In addition to working as an attorney on behalf of the victims of bicycle crashes, Mike Keating is an avid bicyclist. 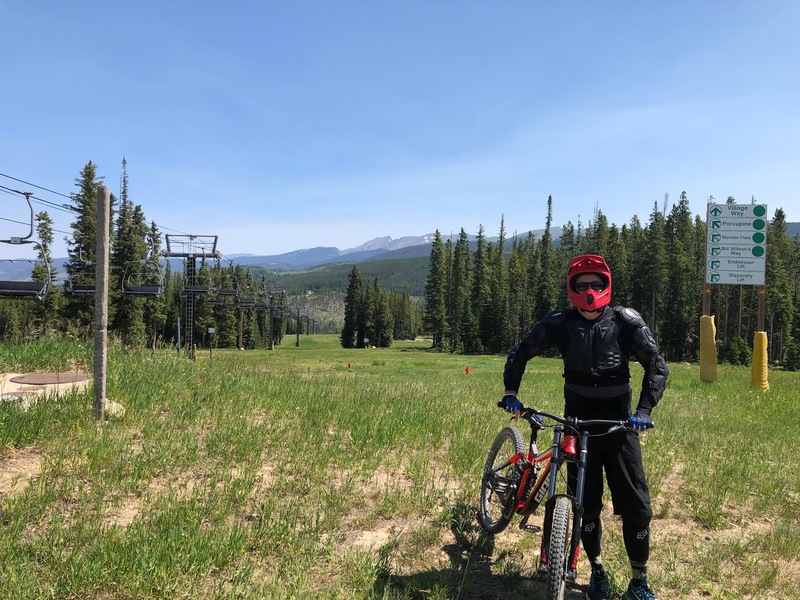 While in Colorado Mike Keating had the opportunity to join other bicycle law attorneys and bicycle experts to the Trestle Bike Park at Winter Park Resort for a day of lift-accessed mountain biking at elevations over 12,000 feet. 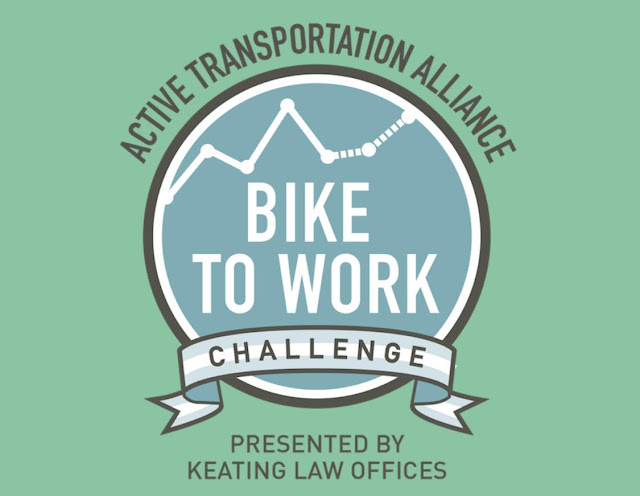 Keating Law Offices is proud to have been the presenting sponsor for Chicago's Bike To Work Challenge. The challenge took place between June 15th and June 29th and including teams that included hundreds of cyclists from companies throughout Chicago. Whether the companies were large or small, each rider played a part in racking up points based on the number of times they rode their bike to work and the number of miles bicycling. "We are very honored to support the Bike To Work Challenge. I'm a regular bicycle commuter and many of our clients commute by bike. By supporting the Bike To Work Challenge we help reinforce the important role bicycling plays in Chicago's transportation scheme. Commuting by bike is healthier for the bicyclist, reduces congestion on city streets, and makes the city more accessible. All of this helps us fight for the rights of cyclists in Chicago." The firm also hosted a "Pit Stop" at its West Town location on the Milwaukee Avenue Bike Lane. The Milwaukee Avenue location is the firm's second location. Keating Law Offices also has Loop offices at 111 West Washington Avenue on the Washington protected bike lane and across the street from City Hall and the courthouse at the Daley Center. 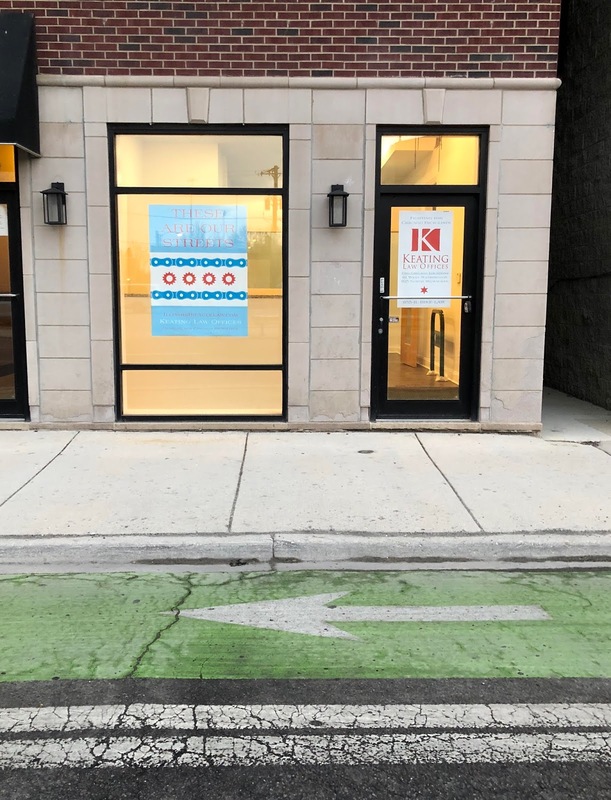 The West Town location provides a local presence on Chicago's most heavily trafficked bicycle lane to better serve the firm's clients and the Chicago bicycle community. The goal of the West Town location is also to reinforce the firm's absolute commitment to Chicago's bicycle community. The West Town location is located at 825 North Milwaukee Avenue near the intersection of Milwaukee and Chicago and is steps from the Elston bike lane. Keating Law Offices is the premiere personal injury law firm representing victims of bicycle accidents in Illinois. The firm is based in Chicago, Illinois and represents clients throughout Illinois. Keating Law Offices has represented hundreds of clients who were injured in bicycle accidents as well as their families. 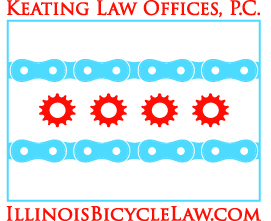 In the process the firm has also fought for the rights of bicyclists in Chicago and throughout Illinois. The firm is always immediately accessible to its clients and anyone interested in discussing a legal matter. There are live operators available for live chat or text, and phone operators available 24/7. You can reach the firm directly at 312-239-6787 or via email at Info@KeatingLegal.com. "Wear your helmet" is solid advice. But not as much thought is given to the differences between various helmets. The general belief is that as long as you are wearing a helmet, any helmet, your head will receive some protection in case of a fall or a crash. As death and injury rates for bicyclists grow, researchers at Virginia Tech University and the Insurance Institute for Highway Safety decided it was time to analyze which helmets reduce the risk of injuries for bicyclists. Virginia Tech performed this study which focused on helmet impact tests to evaluate a helmet's ability to reduce linear acceleration and rotational velocity of the head resulting from a range of impacts a cyclist might experience. The researchers spent months researching how cyclists were most likely to hit their heads in crashes and used that information to replicate a dozen scenarios to replicate those hits. What they found may surprise you. Urban-style helmets (Bern, etc.) are often purchased for their sleek design and with the thought that since the helmet covers more of your head, it must give you more protection. That thought process follows the conventional wisdom that "more is better," but this study proved it wrong. This style of helmet didn’t perform as well due to the fact that they have a thinner layer of the foam that compresses upon impact. This means that although there is more area of the head covered, the impact can still cause a significant head injury because there is less cushioning even though there is more surface area to the helmet. One of the key findings is that a relatively new technology known as Multi-Directional Impact Protection System (MIPS) can lessen the risk of concussion. Helmets that have MIPS have an inner layer that lessens the forces that cause trauma. Of the 30 helmets tested so far, only 4 of them have been awarded Virginia Tech’s top five-star rating, all of which had the MIPS technology. Of those four helmets, the prices ranged from $200 down to $75, so protecting your noggin doesn’t mean you have to break open the piggy bank. The evidence is also clear that any helmet is better than no helmet. There are many steps cyclists can take to protect themselves, but making sure that they are riding with the safest helmet possible is one that easily in our control. A Chicago bicyclist was killed while riding his bike on North Ogden Avenue in Chicago's West Town neighborhood. The fatal crash occurred when the driver of a 2014 Lexus turned onto Ogden Avenue from Erie Street. This intersection is near the Ogden overpass over the Kennedy expressway where there is an on ramp for cars merging onto the northbound lanes of the expressway. This stretch of Ogden also connects the neighborhood along Grand Avenue with the River West neighborhood north of the expressway along Chicago Avenue. Due to this, many bicyclists frequently use Ogden Avenue to get over the expressway along this section of Ogden. No further details have been provided. The driver of the Lexus was issued a traffic ticket for failure to use due care while operating a motor vehicle. This is a general charge often used by the Chicago Police Department when the exact details are uncertain but there is evidence that the driver was not carefully operating the vehicle. The Chicago Municipal Code explicitly states that drivers must use "due care" to avoid colliding with a bicyclist. Under the law, "due care" means the "care that an ordinarily reasonable and prudent person would use under the same or similar circumstances." This is a sad and tragic loss. Our thoughts and prayers are with the bicyclist and his family and friends.